What Makes the North Carolina Coast So Beautiful? It’s a ubiquitous question when you live in North Carolina. The beach you go to – which, it seems, many families do yearly – says a lot about who you are and what you love. I inherited a beach by marriage; my husband’s family has been going to South Topsail Beach for more than 30 years. It’s turned into an event akin to a reunion, with family driving in from all across the Southeast just to attend. Growing up in New England, beach-going only happened a few times that I remember, and usually to imposing, cold, unforgiving rocks and waves. I wasn’t hot on the idea of visiting a beach when my husband brought it up so many years ago. But when I arrived at Topsail for the first time, almost thirteen years ago, everything changed. I could tell that the North Carolina coast was just… well, special. And it’s not just because I say so. 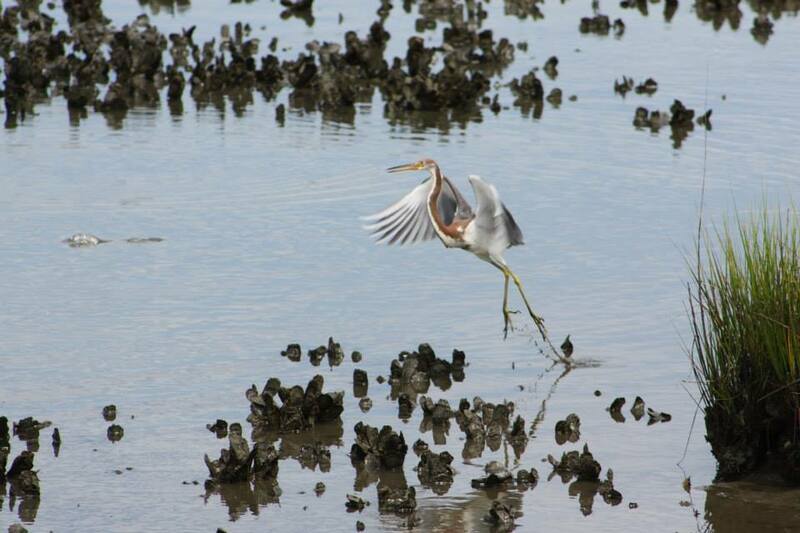 What makes North Carolina beaches so unique, and the surrounding landscape, is that it’s a wetland ecosystem. Going for a ride in a boat isn’t just about seeing house after house precariously perched on stilts at the water’s edge, but about getting a front row seat to our state’s coastal beauty. The wetlands are, according to the U.S. Fish and Wildlife Service, “…lands transitional between terrestrial and aquatic systems where the water table (the level at which the soil is saturated) is usually at or near the surface or the land is covered by shallow water.” This makes for a dazzling array of vegetation, land and water wildlife and biodiversity. In North Carolina, we have over 40 kinds of wetlands. On the coast itself, it’s the salt marshes that drew my attention. Filled with cord grass, these expansive marshes rise and fall with the tides and are extremely salty. A quick boat ride down the Intracoastal Waterway and you’ll see feeding gulls, herons, and egrets, feasting on the many oysters and shells. I’ve even spotted bald eagles and other birds of prey at the tree line a little ways back, too. Never a dull moment. Seeing the coast from a boat is one thing, but for many people it’s the beach – the sand, the sun – that really make it worthwhile and so relaxing. I’m not much of a sit-and-tan person, but I do love taking long walks on the beach. And one of the loveliest parts of the shore landscape comes in the form of sea oats, Uniola paniculata. They grow in tall clumps and are an essential part of keeping dunes in place, fighting off erosion and providing a habitat for local fauna. Not to mention the sea oatsactually help protect the coastline from rising tides and winds, which is especially important for both beachgoers and residents. Their tall fronds whisper in the wind and they add a wild beauty to the horizon line. If you visit in July you might also see Gaillardia pulchella; the firewheel or blanket flower, carpeting parts of the dunes and walkways; and sky-reaching yucca plants like Yucca filamentosa. As beautiful as the dunes are, though, it’s essential to steer free. Foot and vehicle traffic are detrimental to the dunes and much has been lost to well-meaning, and sometimes not so well-meaning, visitors. In fact, Jockey’s Ridge on the Outer Banks – the tallest active sand dune system in the Eastern US – is facing many challenges due to tourists. That’s because people aren’t heeding signs to stay off the dunes at all. Foot traffic is a major threat to dune stability. And that’s not to mention one of the most famous dune inhabitants: sea turtles. Sea turtles frequently nest and lay their eggs on North Carolina beaches, and the lower dunes are one of their favorite places. However, as this important part of the landscape deteriorates, it puts a continued strain on the sea turtle population. Dune vegetation is able to grow and become stronger with the presence of nutrients from turtle eggs. As the dune vegetation grows stronger and healthier, the health of the entire beach/dune ecosystem becomes better. 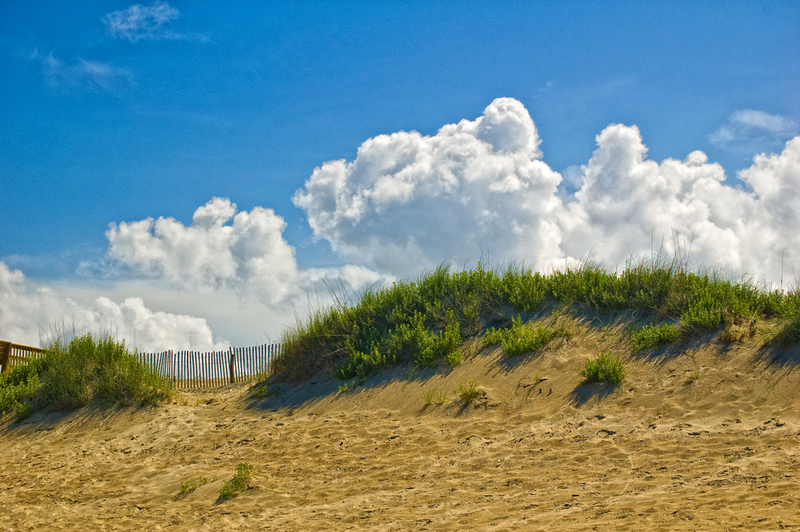 Stronger vegetation and root systems helps to hold the sand in the dunes and helps protect the beach from erosion. As the number of turtles declines, fewer eggs are laid in the beaches, providing less nutrients. If sea turtles went extinct, dune vegetation would lose a major source of nutrients and would not be as healthy and would not be strong enough to maintain the dunes, resulting in increased erosion. Once again, all parts of an ecosystem are important, if you lose one, the rest will eventually follow. Image: Shutterstock. Fishing boats on the Intracoastal waterway. I had no idea what the Intracoastal Waterway was when I first came to the North Carolina coast, but it’s since proved to be one of my favorite of our state’s geographic features. By nature, I’m not much for sitting for long periods on a beach. But give me a boat and some scenery, and I can go all day. The Intracoastal Waterway was an immense project that began way back in the 1820s, when our country was less than 50 years old. The idea was to provide a more easily navigable area of water that didn’t carry all the risks of the open sea. North Carolina has but a part of the Intracoastal Waterway which stretches 3,000 miles along the Atlantic coast to the Gulf of Mexico, much of it comprised of natural inlets and streams already part of the landscape. The United States Army Corps of Engineers (USACE) are to thank for the majority of the work and maintenance of this truly magnificent feature. You’ll see a boatload of impressive houses along the Intracoastal Waterway on any short trip, but there’s abundant nature, too. You’ll also come across plenty of water fowl and birds of prey – not to mention some good fishing spots, too. If you’re lucky enough to be in the Wilmington area around the 4th of July, it’s also a perfect spot to watch the fireworks from the USS North Carolina Battleship. The Intracoastal Waterway is also ideal for kayaking almost year-round. 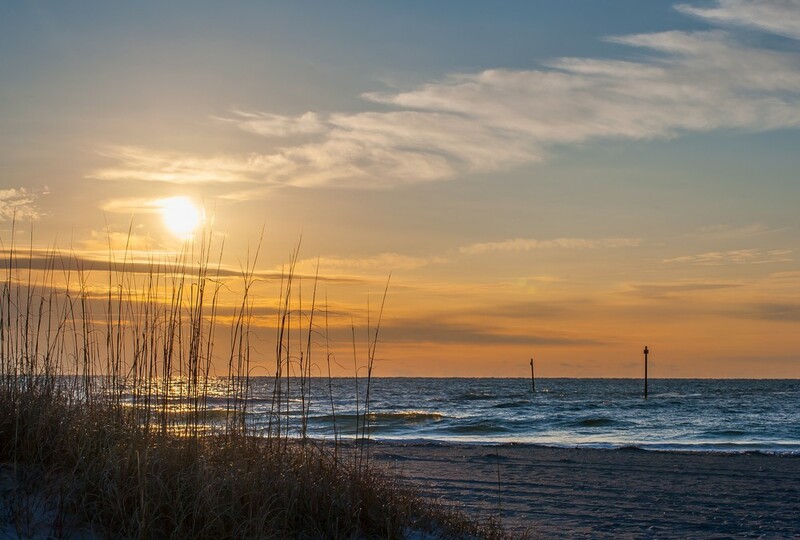 Whatever your favorite feature, the North Carolina coast has something to offer for almost anyone along its over 300 miles of coastline (that’s 7th longest in the nation, by the way! ).